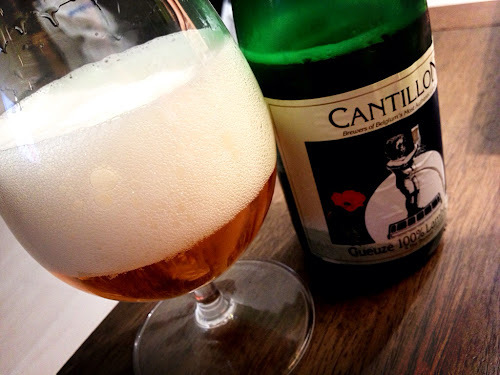 What are the classic beers everybody should try in 2013? Having a stash of good beer is one of the perks of being a bit of a beer obsessive. No matter what mood I'm in I'll always have something stowed away at the back of the cupboard ready to be cracked open and enjoyed. Some beers never fail to satisfy. Cantillon Gueuze with its intense tartness and complexity, Schneider Weisse Meine Hopfenweisse for it's drinkability and depth of flavour, Brooklyn Black Chocolate stout for just being bang on the money in terms of what an imperial stout should be, but also more modern examples like Magic Rock High Wire, Kernel Export India Porter or Buxton Imperial Black for just being fantastic beers and modern classics. Essentially, beers that are always stunning and that I feel myself needing to have a constant and steady supply of. But what fits into this category of truly dependable beers will be different for each person I'm sure, so what have I missed out? And what are the beers that you've heard great things about but are yet to try? Maybe there's a gem that I've missed and which I should be adding to the stash in 2013. I am aiming to homebrew more frequently so i have my own stash. Theres a satistaction of having my own beer i can rely on as much as my favourites!